One of the most important tools that an artist can own in his or her own studio will be the easel. It’s one of those supplies that if you don’t select something made with quality craftsmanship, you will instantly regret. Trademark signs of a quality easel are one that will withstand the test of time, accommodate a wide array of surface sizes, plenty of adjustment mechanisms, and ultimately produce better results – like the Mont Marte Floor Easel. 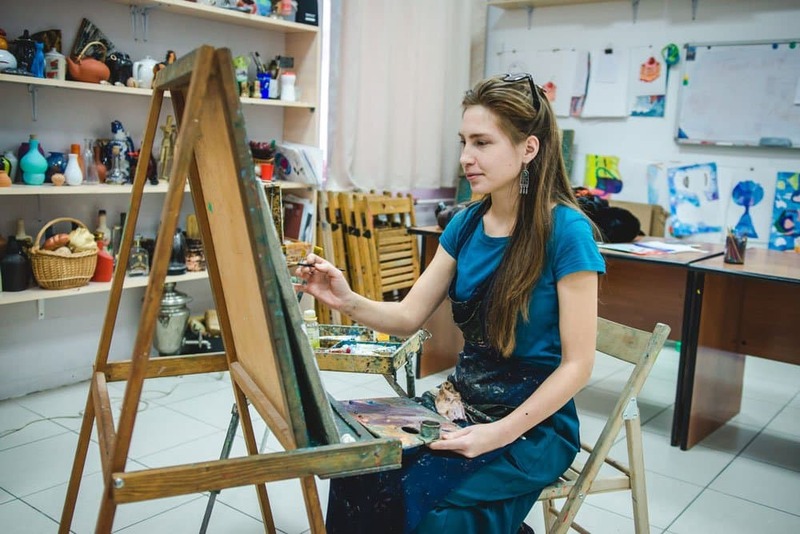 In this guide we will not only review some of the best easels that today’s top artists use in their own studios, but will also go over a few important considerations you should look out for when selecting an easel, as well as a guide and frequently asked question section to get the most out of your new easel. A Frame – This is the most popular type of easel used, especially for student (beginner) and intermediate level artists. It’s sliding bar design can accommodate a wide variety of canvas sizes and is a relatively affordable pick for artists on a budget. Plus, they can be stored away easily when not being used. 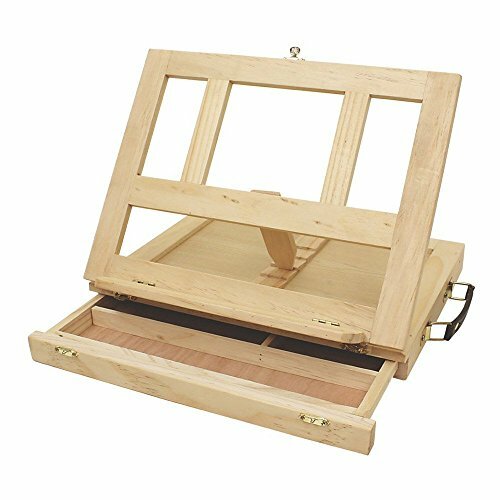 Bench Easels – Typically found in art classrooms, the bench easel is well suited for both drawing and painting while looking at a subject. It’s a no-frills pick, but one that will require quite a bit of floor space. Table Top – If you took the A Frame easel and shrunk it down to a fraction of its size you would have the table top easel. Perfect for small scale paintings, table top easels are perfect for artists who paint only on occasion or are living in cramped living quarters (i.e. dense urban or dorm room). These are one of the cheapest picks you can find. Single Mast – These easels are similar to the A Frame in that they budget friendly, but also have a much smaller footprint. While it’s small footprint is one of the largest reason why many artists go with this easel, its ability to accommodate large scale paintings is also great advantage to this unique design as well. French Easel – For painting on the go, there is no denying the versatility of the traditional French easel. With the ability to be folded down to a small briefcase-style form, French easels are the perfect pick for artists looking to go beyond the four walls of their studio and paint en plein air. 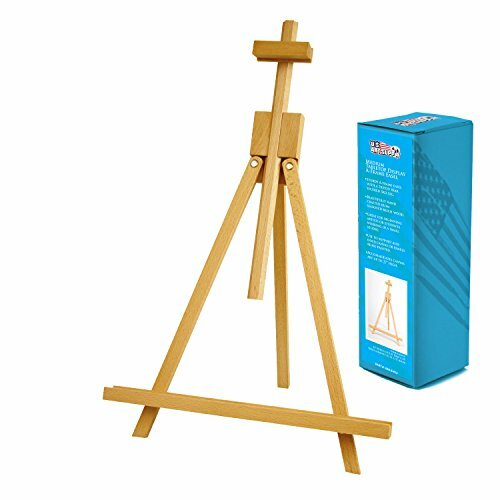 Field Easel – Like the French, the field easel is perfect for outdoor painting. But unlike it’s outdoor brother – it does lack versatility (i.e. no drawer, storage, palette resting area, etc. ), so expect to carry everything else separately in a backpack. The lightweight design does make this easel incredibly portable. H Frame – A much larger alternative to the A Frame easel is the H Frame. With ability to accommodate large scale paintings, H Frames are a great pick for professional level artists and those ones who make art on a commissioned basis. Beyond the scale of canvases this easel can accommodate, it will also feature other details to improve the productivity of the artists – including cups, trays, non-skid grips, etc. Wall Mount – A great alternative to the single mast easel, the wall mount easel is a perfect pick for those artists that have little to no floor space in their studio, home, apartment, etc. While it lacks portability and it requires a wall – it can accommodate a wide variety of scales for your surface. 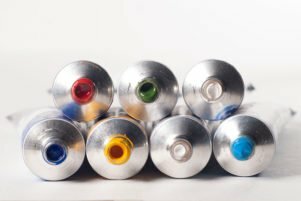 Like most art supplies, the more you spend, typically the better quality you will receive. This couldn’t be truer when it comes to easels. Quality easels should, at a minimum, keep your canvas firmly fixed while having locking wheels or rubber feet to prevent easel movement if painting expressively. So, if your current easel does this, then it’s time for an upgrade. In our research we found that for all skill levels of the artists – most easels between $80 – $200 will deliver adequate performance. But of course, you want to pick one that works for your personal budget. When selecting your next easel, you will find that they are largely constructed from either wood (typically beech wood) or metal (typically aluminum). 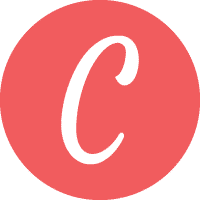 Depending on your use case, you may want to get one type of material over another. For the traditional artists out there, beech wood is a terrific solid wood that will last a lifetime. In addition, beech wood will resist budging when it is set up due to the ample heft it provides. However, for the artists that want to take their easel with them (perhaps to a class) or only want to take it out on occasion, aluminum easels are both lightweight and highly compact. This makes them a terrific choice if you only paint on a whim. Depending on the scale of the pieces you plan on painting will dictate the size of the easel required. As you can see in our comparison table above, easels have differing limitations on the size canvas they can accommodate – so take a moment to really think about your future roadmap of painting. As we touched on briefly in the composition or material of the easel, the overall weight is equally important. Heavier easels provide a much steadier stand for you to rest your canvas on, however, with increased weight, you compromise on portability. So, before you buy, take a moment to think about how you will be using it and if weight will be an important factor. Whether you are an acrylic or oil painter, the medium that you use with your easel won’t be that important. 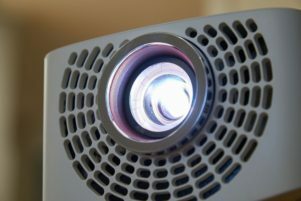 While some companies may market their easel as an “oil painting easel” don’t feel required that it can only be used with a specific medium – this is just a common marketing technique used by art companies. The varying adjustment mechanisms built into an easel can be great for comfort. A quality easel should be able to adjust to varying heights and tilts. But beyond these two adjustments, you will also want to make sure that the easel you decide to go with can accommodate how you like to paint – sitting vs. standing (or a combination of both). Furthermore, a few of the easels we looked at below are convertible – meaning they can swing the canvas to a horizontal position. This can be great for applying varnishes evenly. This A-Frame easel by Mont Marte is the quintessential artist easel. 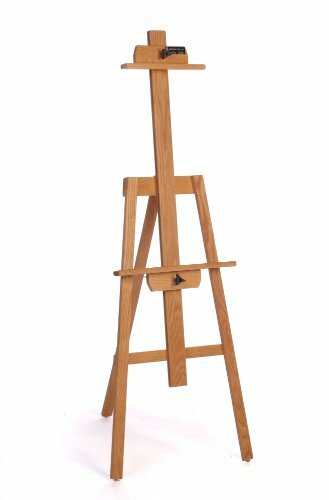 Crafted from beech wood, accommodating surfaces up to 47” in length, and weighing a respectable 18 lbs., it’s a great beginner’s easel. Not only does it have ample heft to not get pushed around easily when painting with some expressive strokes, but the quality craftsmanship found in the Mont Marte line of easels will ensure that it lasts a lifetime. But going beyond the craftsmanship, you will find some other great features on the easel itself, such as a small organizational tray to keep your brushes and solvents at the ready, along with sliding trays to find perfect height to place your canvas. So, whether you are 5’ 0” or 6’ 5” – you can slide the canvas trays to paint comfortably while standing or sitting. 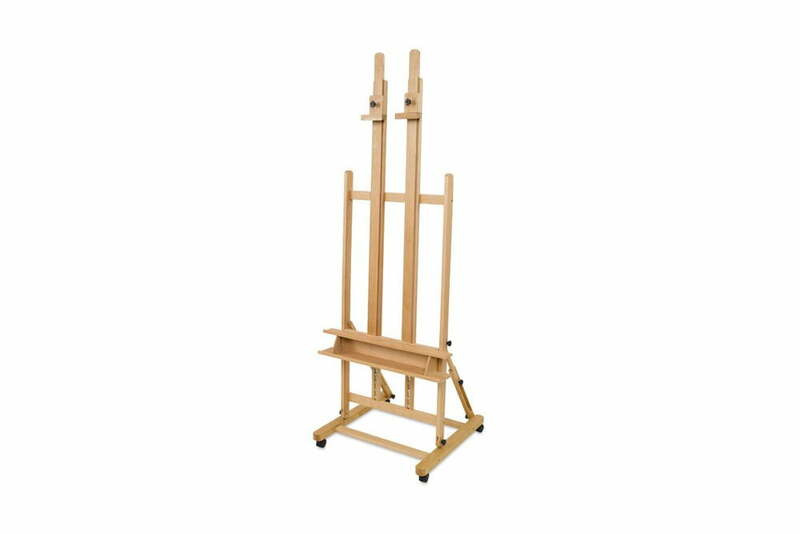 But what really makes this easel perfect for the beginner or hobbyist painter is that if you are taking a few days, weeks, or months off from painting, the Mont Marte Floor easel does fold up completely flat – so you can store it under a bed or in a closet when not in use. Now, as great as this easel is, there was a minor drawback that we found during our research, it’s that the assembly can be a bit vague and tricky. So be sure to temper expectations and set aside some extra time when it arrives on your doorstep. Overall though, for the quality and the price – this is a terrific easel for beginners. The USA made American Easel Oak Yazhi Easel is another strong entry in the world of traditional A-Frame easels. Crafted from Red Oak (the only oak tree derived easel on our list), weighing 11 lbs., and accommodating surfaces up to 44” in length (only 3” shorter than the Mont Marte we also reviewed) – it’s another perfect beginners easel. A few of the standout features that we loved most are the non-skid rubber feet – which help offset any movement when painting – along with the fold flat design for easy storage. 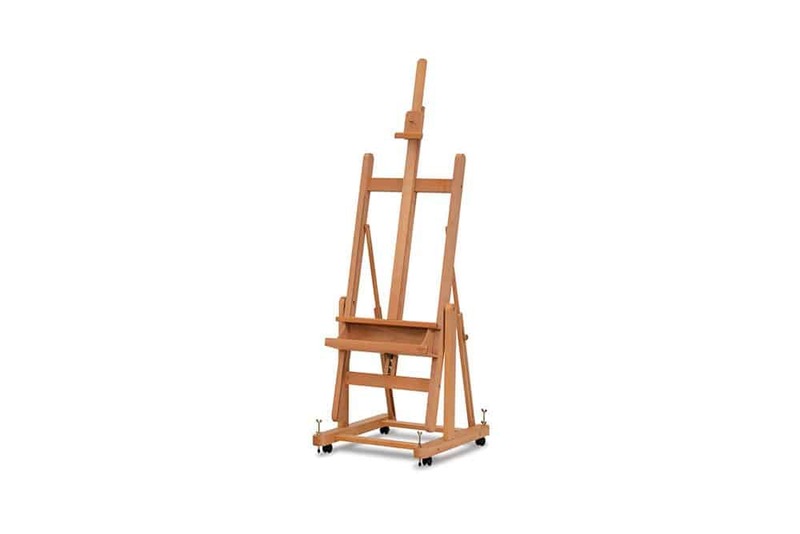 As one of the more affordable full wooden easels on our list (typically retails for around $80) – it’s a great value pick for those artists that are on a slightly restricted budget or aren’t willing to spend over $100 for an easel that is used only occasionally. The biggest compromise that you might have on this easel compared to others in the market will be the lack of a tray (which may not be a big deal for some), and the smaller surface restrictions we mentioned earlier. Overall, this is still a fine easel and one worth considering if you are looking to save a few bucks on an easel and don’t mind a bit of organizational compromise. That’s the biggest takeaway that you need to know about the T-Sign Aluminum Easel. Weighing a super light 3lbs, it’s a perfect portable A-Frame easel. What is equally impressive to its feather light design is the price tag. Retailing for roughly $20 bucks – it’s one of the most affordable options on our list. Furthermore, given its aluminum design, it’s able to be folded down to 21” – making it perfect for taking with you to an art class or even en plein air purposes. Secondly, for those of you living in tight living quarters or a dorm room setting – this easel is perfect for such a scenario. But naturally, with such a low cost and lightweight design, there are going to be a few compromises. First up – the weight. Both a blessing and a curse, the lightweight design makes for a more flimsy setting on your canvas. Expressive strokes may be a bit wobbly and not nearly as clean. For artists that want their surface to “stay put” – you will want to look at a few other picks on our list (specifically an H-Frame easel). Secondly, this easel is absent of any onboard storage. So, if you do want to take it out in the field with you, be prepared to bring a separate stand or hold everything yourself. Dipping into the solvents or mediums may prove to be a bit tricky. Lastly, as an A-Frame easel it’s max surface size is limited to just 33” (especially compared to others on the list). So, if you favor larger scale paintings, know that you do have an upper limit to work around. Overall, this is still a great student or beginner level easel. It’s ability to be used as either a full A-Frame or tabletop easel is impressive. And for the hobbyists or casual painters out there, you will love the compact design for storage. Perfect for classroom or desktop paintings – this beech wood crafted easel by US Art Supply is a great pick for hobbyists painters. If you are unsure whether or not the world of art is for you, or perhaps you are looking for a gift for the young artists in your life, the compact and affordable design is only rivaled by a few other picks on the market (specifically the T-Sign Aluminum and Art Alternatives Desk Box Easel we also reviewed in this article). Not only is this easel perfect for working on a painting, but it also can be doubled as a display easel for your finished artwork. The biggest drawback we saw during our research was the limited surface size it can accommodate. With an 18” (45 cm) minimum and 31.5” (80 cm) maximum surface size – it’s severely restricting. So, for those artists that want to do small postcard size paintings during the holidays, or really want to push yourself artistically with a large scale piece, you will have to rely on a different easel. For those who like to stand while you paint, you will have to balance this easel on a stack of books (or something similar) in order to get the appropriate height. Given that this is designed for tabletop use (and you should have plenty of space around the easel), there is no drawer or ledge to rest paint brushes, oil paint, solvents, gesso, mediums, etc. Overall, for the super low price and the no frills design – it’s a great way to get started into the world of painting on a restricted budget. 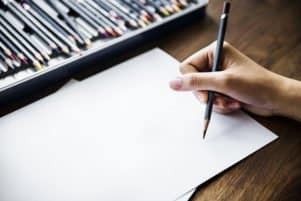 But if you want something that will work with you for several years into your art career, we would recommend checking out a few other options on the list. Somewhere between the US Art Supply Tabletop Easel and a pochade box you will find this unique easel by Art Alternatives. A small scale easel that accommodates surfaces up to 14” and perfect for casual artists – this easel is great for children, hobbyists, and beginner artists. The biggest thing we loved about this easel was that unlike most tabletop easels that offer a no-frills design, this desk box easel actually includes a drawer! Making it perfect for light storage of your supplies or carrying with you when doing a small scale plein air painting or heading to class. Given that this easel is rather small – it’s worth noting that the depth of the drawer is .75” – perfect for small watercolor, oil, or acrylic paint that are around 10ml in size. Another huge feature not found in any of the other easels we looked at is the inclusion of a palette. So, if you truly are starting out or looking for a gift for someone aspiring to be an artist, this will help them get on their way. Given the small size of this easel, there are naturally going to be a few limitations. First, the max surface size. As we touched earlier, with a max size of 14” you will be quite restricted when it comes to the scale of your painting. Secondly, tilt and height adjustment. Used just for table use, you won’t be able to stand while painting on this box. As for tilt, you have a limited range of motion. With only a few notches to rest the surface, you are unable to dial in the perfect tilt for your painting comfort as you would with many of the other higher end easels featured on our list. Overall, it’s a perfect starter or gift easel. The additional storage makes cleanup easy and your art supply area well organized. This Italian company has been serving artists for decades. Established in 1948, they have developed respectful name in the art community over the years. Making only easels and nothing else, Mabef makes the perfect convertible easel with the M-18. Constructed from oiled beech wood – it will not only withstand the test of time, but will be a staple in your art studio forever. What truly makes this easel unique, and a reason why many professional artists go with this one is its convertible design. With the ability to go either completely vertical or horizontal, you can dial in the perfect tilt for your level of comfort. The horizontal design also makes it easy to apply a even varnish to your finished piece. 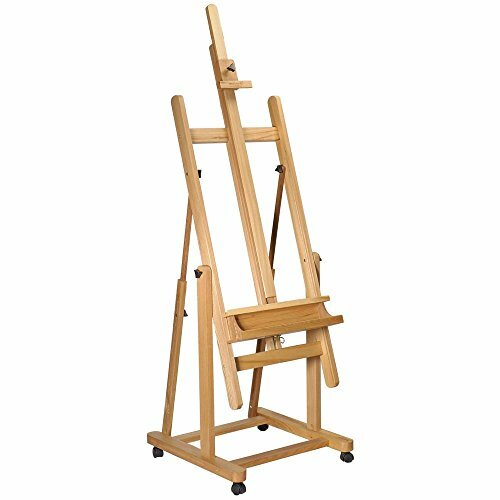 Given that this is an easel for the professional level artist, it has many of the features that you might be looking for – such as a large tray for your supplies and a max surface size of 88” (nearly double all the A-Frames on our list). One of the heaviest easels on our list (52 lbs. ), it’s intended to be set up once and kept that way (so don’t expect to easily store it under your bed or in a closet). While it does have ample heft, it does have 4 locking wheels that you can move about your studio. Overall, this is the perfect easel for professional level artists that work in a rather large studio. Just expect to pay a professional level price as well. One of our favorite H-Frame easels that we found was the Blick Studio Heavy Duty Easel. Not only could it accommodate the largest surface size of all the easels on our list (100”), but it also delivered an equally enormous value. With a price tag just below $200, this is the perfect easel for artists serious about painting while wanting an affordable, but good, easel in their studio. Beyond the value that is delivered with this easel, it’s is also wildly functional. With a double mast that can be adjusted independently, your surface will be completely secured when placed on the easel – ultimately translating to better results from you – the painter. Secondly, the large storage tray is nearly as wide as the easel (27.5” to be exact) along with a depth of 3” – making it a perfect place to put any solvents, mediums, or highly used paint at the ready. Given that this H-Frame easel is enormous, it is really heavy. With a 47 lb. frame, it definitely won’t be the most portable of the ones featured on our list. However, as you may have noticed in the picture above, this easel does include locking wheels – making it substantially easier to move around your studio if necessary. Overall, artists loved this easel for both its functionality and value. If you have a dedicated art studio and don’t mind working through the vague assembly instructions, give this easel by Blick Art Materials a look. A highly respected easel maker in the fine art world, Jack Richeson makes a wide array of easels available for artists including art benches, A-Frames, convertibles, and of course – their H-Frame Lyptus “Dulce” easel. Crafted from a hybrid of two eucalyptus trees (source), Lyptus hardwood is similar to maple and is sourced in a sustainable manner, helping to lessen the environmental impact when made. Environmental reasons aside, this H-Frame easel by Jack Richeson would make a great addition to just about any artist’s studio who is looking to upgrade from a more barebones setup. With a single mast that extends all the way to 84” – you can easily add larger scale paintings to this easel without any issues. Secondly, the lighter weight of 28 lbs. (especially when compared to other H-Frames on our list), make it a bit more manageable in your studio. While this easel does lack wheels, it can be easily folded should you want to put it away when you aren’t painting. One downside that a few artists have pointed out about this particular easel is the lack of any significant onboard storage. While some of the other similarly priced H-Frames contain a drawer for simple supply storage, the Jack Richeson “Dulce” only has a shallow ledge (adequate for brushes, small tubes, rag, etc.). So – don’t expect this easel to replace the supplies currently set up on your art desk or stand. Overall, it’s a fine easel. It can easily handle large scale pieces without weighing as much as a few alternatives on our list. If you want an environmental friendly easel from a respected name in the art world – then you might want to consider this one by Jack Richeson. Another easel from the Mont Marte line that caught our eye was the Tilting H-Frame Easel – and for many reasons. 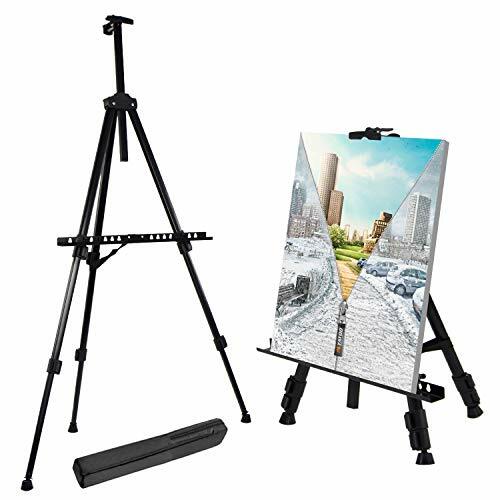 While it can be used as a traditional H-Frame easel, it also doubles as a convertible easel that can tilt to make the surface completely horizontal. So, if you need to get more comfortable on some of your artwork, or perhaps apply a layer of varnish, you can do all of that without having to worry about taking the surface off the easel. While it is the most limited H-Frame easel we looked at in terms of surface scale – it can only accommodate surfaces up to 78”, it still should work for most artists out there. But one big sticking point worth mentioning is portability. Unlike a few other easels, this one by Mont Marte can’t fold up for under the bed or closet storage – so if you have a dedicated studio this might not be a big deal, but for those using their easel in a shared space (i.e. living room or dorm), you will want carefully consider this before purchasing. This easel does have wheels, so moving it around in a room will be fairly easy. Overall, this easel is great if you want the movement of a convertible but a price tag of a traditional H-Frame. Mont Marte puts together quality art supplies, and this tilting H-Frame easel is no exception. 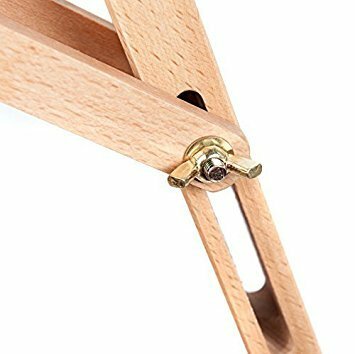 Where To Buy Your Easel From? While many of the easels we covered above were found through both Amazon and Blick Art Materials as they typically offer free/low price shipping and the widest selection, there are countless other online art supply stores that also sell easels. Given that easels can be both heavy and large, be sure you are aware of the shipping rates before you make your final purchase as they can vary quite drastically. Should You Make Your Own Easel? Inevitably when paying several hundreds of dollars on a new art supply, the thought of making a new easel yourself becomes much more appealing – especially given that us artists are hands-on creatures. Selecting and reviewing the best easel in 2018 wasn’t easy. With so many options available in the marketplace and limited resources on our end, we simply couldn’t get to everyone out there. But after careful consideration and research of the above, we are pretty happy with the results, and we think you will be too. Of course, if you feel like we should have added an easel or two to the list, or you have experience with a few of your own, get in touch with us – we would love to know. We hope you enjoyed the guide as much as we did writing on a few of the finest easels available today!